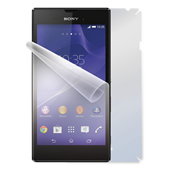 Do I have to cut the Screenshield film before application? No, you dont have to do anything. All device cutting guides are done with maximum precision in respect to our effort maximum body protection, user comfort and longevity of decorative skin. 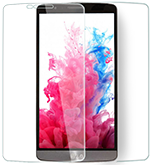 In case of protection film Screenshield for dislay, we measure and cut the film with a slight 0,5-1mm deviation from the display edges in order to prevent possible peeling. Will there be unwanted residues after skin or film removal? All materials are certified to fine finish protection. There won´t be any residues after removal. Is it possible to order skin with glossy lamination? Yes, nevertheless our standard is sandy lamination with UV filter for colour stability. In case of bigger order amounts please contact us, we are flexible. info@skinzone.eu. What am I supposed to do if I dont find my smartphone, tablet pc, notebook or any other device we provide our service? There are 3 options. In case of a notebook you can use our notebook configurator and provide us with measure of your own. In case of other categories such as smartphones, tablets, e-readers etc., we must measure the device physically at our premises. You can stop by or send the device via a spedition company. We will provide you with the skin exactly prepared for your devices and return it within 3-4 days. All for free. Last option is to wait till we find other ways how to get the devices and prepare cutting guide. Is it possible to produce skin with my own picture or theme? Absolutely, if you dont like any of our pictures, please click on UPLOAD THEME and send it to us. There are, however certain rules to follow. Please make sure that the graphical motive is in the correct format and resolution. What am I supposed to do if voucher code does not work? One of many payment options is also using voucher codes. Make sure you dont mistype „0 – zero“ for „O – letter“. If you dont succedd please contact us at info@screenshield.com or info@Skinzone.cz. Didn´t you find the answer to your question? Please don´t hesitate to contact us on the phone no. : +420 266 611 031 or an e-mail: info@skinzone.cz.